On Tuesday I showed you what I’m (hopefully) reading this winter. On Thursday I talked about Christmas traditions. On Saturday I reviewed two books about adventures. On Tuesday I show you which 2018 releases won’t be under my Christmas tree. On Thursday I do the Naughty or Nice Tag. On Saturday I review two middlegrade books. 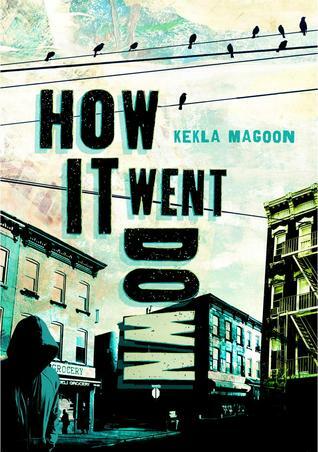 I finished How It Went Down by Kekla Magoon. Guys, this novel is superior to The Hate U Give in every way. Why are we sleeping on this book? Where’s all the hype? And the movie deals? How It Went Down is about perspective. A shooting is witnessed by a bunch of people, but no one can agree on what actually happened. The book has too many characters, but I really liked it. 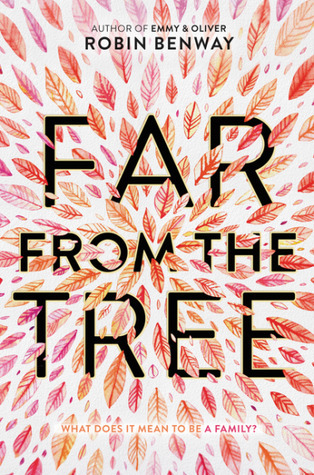 Then I read Far From The Tree by Robin Benway. I liked this one, too! It’s about adopted siblings who are searching for their birth mother. I loved the characters and badly wanted them to be happy. It got too sappy for me at times. Too much hugging and crying and loving your siblings. Yuck. Then I read City of Ghosts by Victoria Schwab. This is a middlegrade novel about a girl who can travel between our world and the land of the dead. Her best friend is a ghost. The book needs help in the pacing and character development departments, but the premise is so much fun that I don’t care. Bring on the sequel. Right now, I’m reading Let It Snow by Maureen Johnson, John Green, and Lauren Myracle. It says “Romance” on the cover, which is terrifying, but it’s Christmassy, so I’ll survive. Sam @ We Live And Breathe Books asks if you ever look ahead in books. Suzanne @ The Bookish Libra wants to know about special books you've gotten as gifts. Watching Christmas movies (and Harry Potter). Last night, I watched Elf and The Polar Express. I’m watching Harry Potter and the Sorcerer’s Stone as I type this. I had an excellent reading week. I rated all of the books I read 4 or 5 stars. I’m only 3 books away from hitting my Goodreads goal. I can make it! I think. I hope. I love when a week has all great books! Cookies, reading, and movies sounds like a perfect weekend. Merry Christmas! Yay for having a great reading week! It is always great when it is one great book after another. Nachos and cookies always make me happy :) I hope you have a great week, AJ. Merry Christmas! Haha, I'm watching Sorcerer's Stone as I blog hop right now! It's always been a holiday movie for me too :) Hope you have a merry Christmas AJ! I can't wait to see Naughty or Nice Tag! 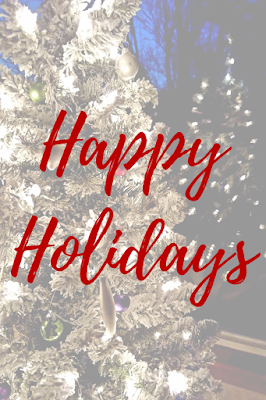 Glad you had a great reading week and Merry Christmas! Is How It Went Down a fairly new book? It sounds familiar. I'm really curious about Let It Snow, partly because I keep hearing the Maureen Johnson story is really good. I don't know, I kinda like holiday anthologies or short story collections, but don't read very many? City of Ghosts looks so interesting! I'm glad you enjoyed it even if it wasn't perfect. Hurray for baking and Harry Potter! I can't wait to start my HP rewatch! Great week with your books. I love when that happens too. It sounds like your whole week was good and I bet you reach your Goodreads goal. Have a Merry Christmas! Hahahahahaha "It says “Romance” on the cover, which is terrifying, but it’s Christmassy, so I’ll survive." This is so relatable! And 3 books away? You can totally do that! Interesting how some books get all the hype. I grinned when I saw the discussion post from Sam about looking ahead in books! What! Putting my hand up! Happy Christmas. I had some pre Christmas fun by watching The Meg which was really good! Have a good Christmas AJ! Yay, glad you had a great reading week! To answer Sam's question, I NEVER look ahead in books! To answer Suzanne's question, I got The Worst Hard Time by Timothy Egan as a gift (a nonfiction book about the dust bowl), and it was GREAT, and I don't usually enjoy history. Have a splendid Christmas! oooh so close to your Goodreads goal ... you can do it! How it went down sounds good. Merry Christmas! You can make it!! I will bake Christmas cookies today. Merry Christmas! I'm late, so Merry Christmas. How It Went Down sounds really good. And I still need to read The Hate U Give, but I'm sure there are other books that do the topic better...or just as well...and they need attention too! I've never even heard of How It Went Down. Now I'll have to go check that one out. And I'm excited for City of Ghosts, though it's good to know it's not perfect (lowering my expectations can sometimes be a good thing). Xmas movies are a lot of fun. And cookies are delicious. So are nachos. I hope you're reaching your goal! I hope you reach your goal! And there are not enough nachos in my life. Yay for all of the great reads last week. I really liked Far From the Tree when I read it and am looking forward to reading City of Ghosts. I'm obsessed with the cover for that one. Hope you have a good Christmas! 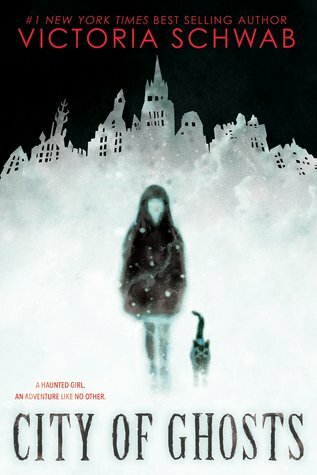 I liked City of Ghosts but you are right the pacing was really slow and dragged on in spots but I did like it and I hope there are sequels because her parents are doing the paranormal show that can take them there. Which is super cool!